Traditionally, classroom science, with its textbooks, sometimes outdated materials and occasional experiment, has looked nothing like it does in a working lab. But with the Next Generation Science Standards (NGSS), classrooms are becoming working laboratories, places to construct and discover and where kids become the scientists and engineers. Finally, many classrooms are starting to look like real life. Approved by 18 states and the District of Columbia, the NGSS was adopted by Washington state in 2013 (aka the Washington State Science Learning Standards (WSSLS)). Supported by major local institutions like Boeing, Pacific Northwest National Laboratory and Pacific Science Center, the state aims to set a new bar for classroom science with local districts currently training teachers on the WSSLS. What's different about the WSSLS? Under the WSSLS, the importance of science and its relationship to other subjects like math and writing is reinforced, making it a compulsory topic in the classroom. In the past, science was considered supplemental, especially in early grades, says Mike Brown, the regional science coordinator for Educational Service District 105 in Yakima. Secondly, WSSLS are scientifically-based standards, supported by science experts from the National Research Council and the American Association for the Advancement of Science as well as businesses, research laboratories and universities. What do the WSSLS cover? Unlike previous science standards, the WSSLS cover fewer science topics including physical, earth, life and space science as well as engineering and technology. In all these areas, science, engineering and technology are integrated into the core focus with engineering design elevated to the same level as scientific inquiry. In a nutshell: Fewer topics but deeper research. Regional science coordinators like Brown and his colleague Craig Gabler of Educational Service District 113 in Olympia, coordinate teacher training in their respective districts. According to Gabler, training has ranged from large-scale education conferences to web-based courses. By providing a multiple avenues of training, regional science coordinators have the capacity to reach all teachers, Gabler says. That's not an easy task. Brown has more than 2,500 elementary school teachers in his district; he aims to meet with them all one-on-one. Sometimes training involves taking the teachers on a "field trip" of their own. Last spring, West Seattle-area teachers visited the Nucor steel plant in Seattle as part of their WSSLS training, says Cheryl Lydon, regional science coordinator for the Puget Sound Educational Services District. As part of the training, teachers considered which parts of the tour they could share with their students to get them excited about science. What's happening with classroom instruction? While Washington state develops instruction rubrics, local districts use existing resources that support the WSSLS. For example, schools in ESD 105 usel essons based on the Smithsonian's Leadership Assistant Science Engineering Reform (LASER) teaching model. Other parts of the state use a Full Option Science Systems model, which was developed by the Lawrence Hall of Science from the University of California, Berkeley. A teacher will still teach science but must move away from the front of the class, engaging students in a discussion. Often referred to as the Socratic method, a teacher will moderate while students ask questions and discuss with other students. What does 3-D learning have to do with the WSSLS? 3-D learning is a critical part of these standards. 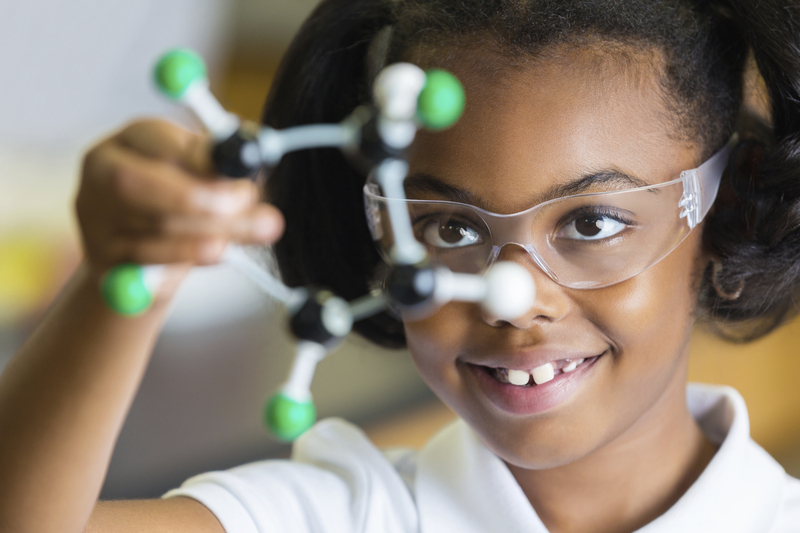 While the more traditional scientific inquiry method of science education is still a part of 3-D learning, 3-D learning requires engagement in practice, applying concepts including cause and effect and pattern recognition. The WSSLS emphasizes 3-D learning. Just as a scientist doesn't rely solely on scientific knowledge, students must now take their newfound knowledge and apply it to whatever research they're working on in class. Most parents remember memorizing basic science facts but the emphasis is now on progression of science knowledge from grade to grade rather than rote memorization. This means teachers can no longer focus on just their particular year with a student, Brown says. "When we have the teachers look at the standards and their links to other grade levels, it makes a big impact on their thinking," he says. Don't expect a quiet classroom with these standards, or that your student will always be in a traditional classroom setting. Often students will get up from their desks to better work together in groups. That doesn't mean the teacher loses control of the class, however, says Mark Windschitl, professor of science teaching and learning at the University of Washington. Teachers still need to be organized about manging students, instead developing new norms for how to treat student-generated ideas. "One of my teachers takes her students to a corner of the room for what she calls the 'Idea Studio,'" Windschitl says. "It is a place for the kids to talk about their science hypotheses." That routine allows kids to talk more freely about their ideas, he notes. Science homework must change from textbook "regurgitation about trivial science facts" to "problem-driven and inquiry-driven tasks," syas Brown of ESD 105. Since the goal of the WSSLS is to turn the classroom into a working student lab, parents will see more classroom-based and peer-driven work. Your student will still get homework, but will be doing the bulk of work in class, outside or wherever they're discovering science.